When the Beastie Boys name check a record shop, you know it’s good. (“This one goes out to my man the Groove Merchant/Coming through with the beats for which I’ve been searchin.’”) Owner Chris Veltri has earned the nickname “Cool Chris” for his encyclopedic musical knowledge and easy manner. 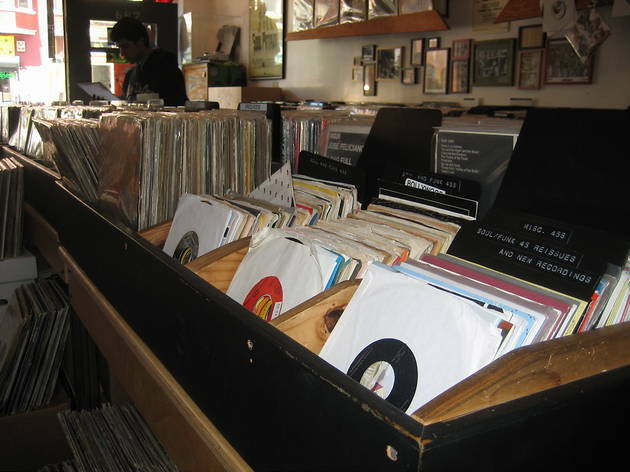 Groove Merchant originated as a section in Rooky Ricardo’s; now it’s a stand-alone shop revered for its well-honed selection of funk, soul, jazz and R&B. 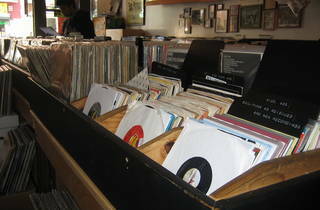 Serious collectors visit for the stash of rare 45s, but even the $5 and $1 bins are rife with classics.